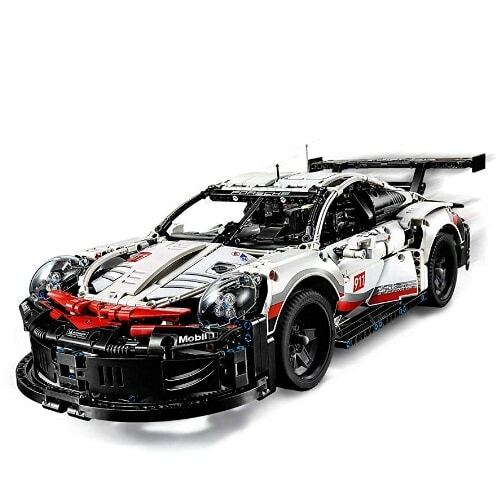 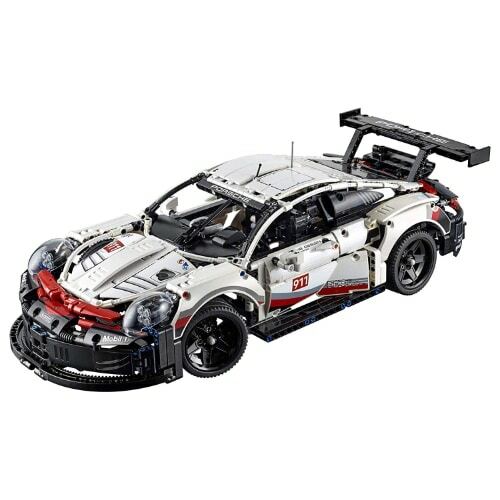 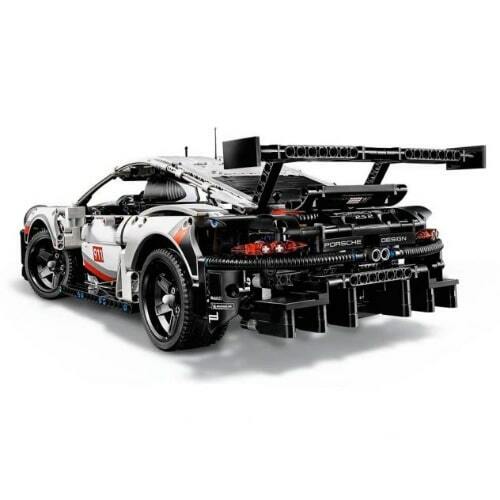 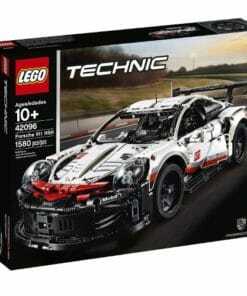 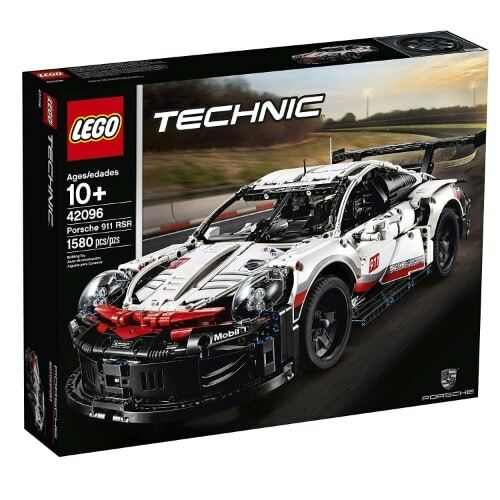 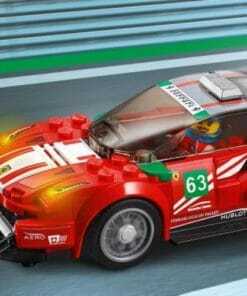 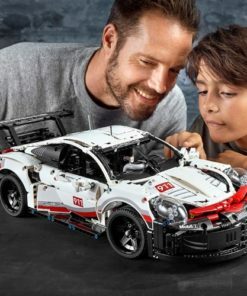 Celebrate an icon of engineering excellence with the LEGO Technic Porsche 911 RSR (42096) collectible model car. 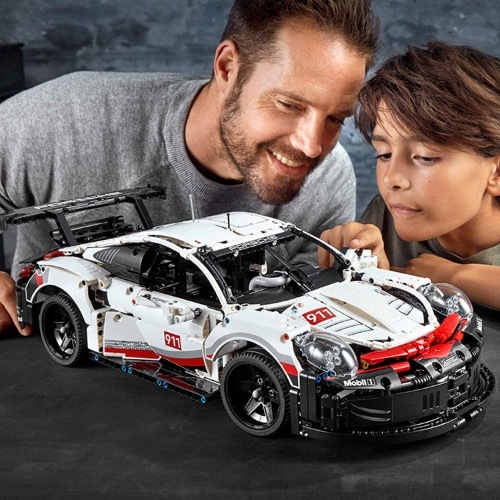 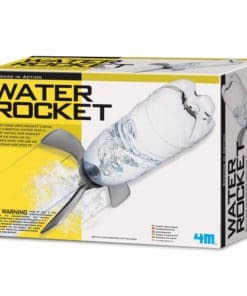 Developed in partnership with Porsche, this toy sports car captures the vehicle’s powerful appearance with its sharp contours and aerodynamic detailing. 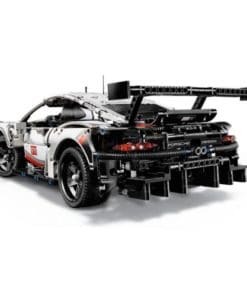 It has a rear wing with ‘swan neck’ mounts, extended rear diffuser and specially designed side mirrors. 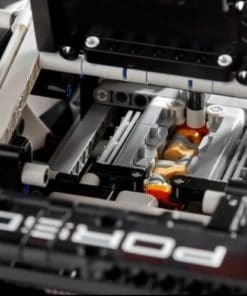 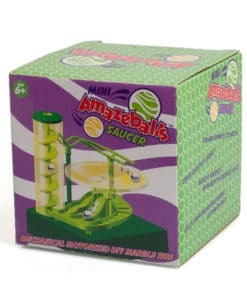 Functions include a visible, working differential, independent suspension and a six-cylinder boxer engine with moving pistons positioned in front of the rear axle. 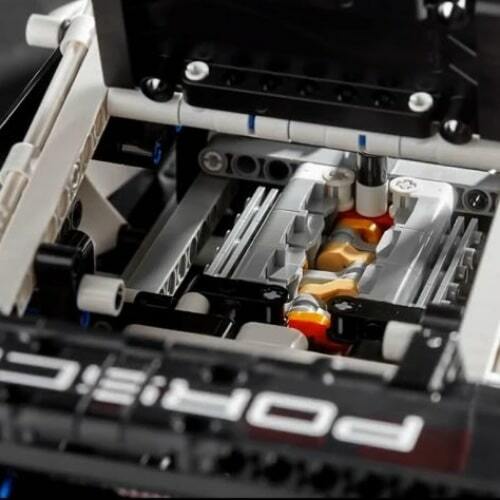 The accessible cockpit features a radar screen, working steering, fire extinguisher system and even a track map of the Laguna Seca circuit printed onto the driver’s door. 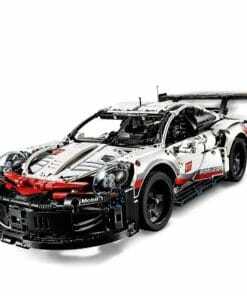 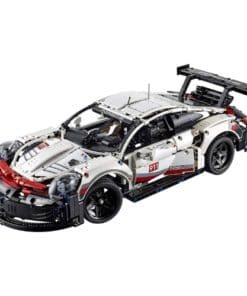 Black spoked rims, realistic head and tail lights and an authentic white, red and black colour scheme with sticker detailing add the final touches to this awesome LEGO Technic Porsche 911 RSR (42096) model, a perfect display piece for the home or office!